21:03 returns and releases new single ‘A Friend’, a beautiful gospel ballad singing of the love of Christ. When 21:03 first hit the urban gospel scene with its watershed debut, PAJAM Presents Twenty One O’ Three, they were slowly finding their voice and place in an already cluttered marketplace. 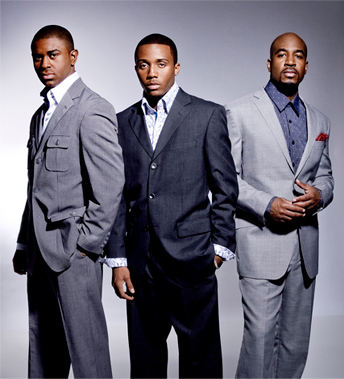 But standing on a good album, the group won a Stellar Award in January of 2008. Total Attention, the 2nd album, the trio cements its identity, assuring the world they’re not a flash in the pan. They’re here to stay. Things were rough at first. Handpicked by production supergroup PAJAM from hundreds of candidates during a casting call in their native Detroit, then-hopefuls Evin Martin, Torrence Greene, and Jor’el Quinn were three strangers chosen on the basis of their faith, as well as their singing and dancing abilities. Sensing the young men had great potential, and acutely aware of the short shelf life of assembled, teen-based urban acts, the PAJAM team—Paul “pda” Allen, Walter Kearney, and J Moss—went to great lengths to groom 21:03 into something more substantive: a trio that could really leave a long-lasting imprint for the Kingdom. To that end, the production supergroup intentionally subjected their recruits to a six-month entertainment boot camp—a grueling period of artist development that harkened back to the glory years of Motown. After an intense season of vocal, physical, and spiritual formation, PAJAM finally cast the definitive vision for its protégés on January 21, 2003—the fateful day that inspired 21:03’s moniker. As Evin, Torrence, and Jor’el matured in their faith and as performers, it wasn’t long until they realized that three passages taken from the beginning, middle, and end of the Bible—Genesis, Psalms, and Revelation 21:3, respectively—provided a deeper look into their mission. The near-prophetic verses reinforced in them that their purpose wasn’t to just sing, dance, or entertain, but to actually minister and impart truth to anyone with ears to hear. To get to that point, 21:03 faced its share of uphill battles, but none was bigger than the one Evin had to weather. Unexpectedly, the 21-year-old looked death straight in the eye when he confronted the back-to-back loss of both of his parents—his mother succumbed to multiple sclerosis right as the trio’s debut released, and his father lost his bout with cancer in the months leading up to Total Attention. “The loss of one parent can be crippling. But the loss of two is devastating,” Evin says. The singer was not left alone: His unwavering faith in Christ and the unending spiritual and emotional support of his 21:03 and PAJAM brothers carried Evin through the storm, weeping with him and making sure he had a shoulder to lean on. Fittingly, Total Attention is a testament to the new level of artistry and ministry 21:03 has reached. Uninterested in following trends or stylistic conventions, the guys shatter any and all preconceived notions their first album may have created, for a well-rounded sound and consistent message that is bound to make listeners stand at full attention. Take the progressive, buzzed-out digital single “You.” The song is unlike anything 21:03 has recorded in the past—a daring, forward-thinking piece of danceable electro-pop that testifies where every good and perfect thing comes from. The rhythmic title track picks up where “You” leaves off, a blazing banger with steady beats-per-minute and a frenetic, Indian-like whistle that rouses the world to direct its mind and affections to that which truly matters. Respectful of the gospel legacy upon which their music is built, 21:03 take it to the old-school in “Riverside,” a contemporized remake of the traditional gem “Down by the Riverside” that recalls Take 6 and the Winans but with 21:03’s unique stamp. Total Attention’s showstopper, though, is “Cover Me,” the debut radio single, a heartfelt prayer featuring three titans of gospel music: Fred Hammond, Smokie Norful, and J Moss. Reaching the #3 spot on the R&R charts and holding, this song is now nominated for a Grammy in the category of “Song of the Year”. They will be among superstar artist like, Kirk Franklin and Mary Mary. Now 21:03 is preparing for the release of their 3rd album, “Evolved… from boys to men”. The album is set to be release in May/June with the single “Incredible” starting it out. 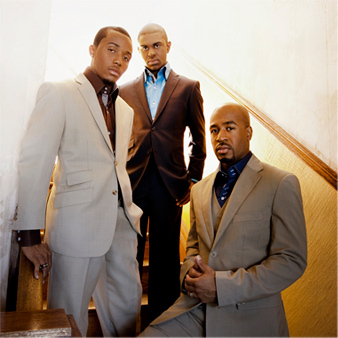 Other internet singles have been released such as, “Favor”, “Still Here”, and “Loving You”. I’m Sorry is a big hit in Africa! Released first single “Incredible” that reached the top 15 songs in airplay.